WOODLAND – The Ohatchee Indians were really sailing in some uncharted waters when they ventured into Woodland Friday night. 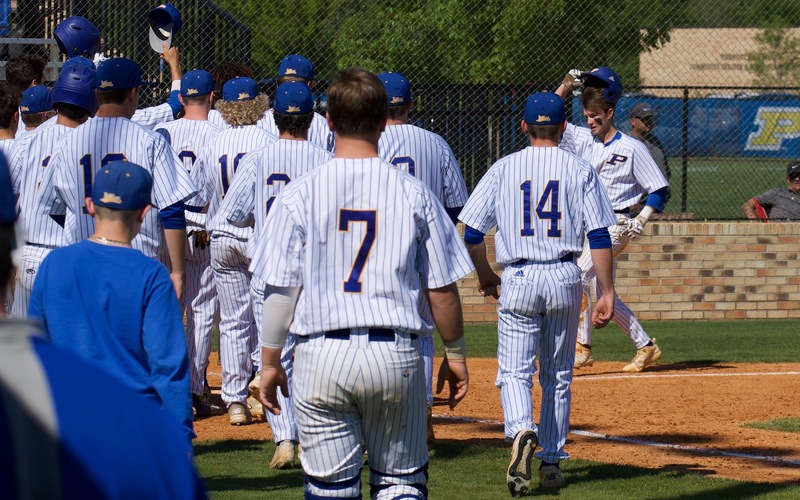 After having some good success in Class 3A the last three years under coach Scott Martin, the Indians, thanks to reclassification, found themselves in Class 2A for the first time since 2013 preparing to play a whole different set of opponents. But they got off to a big start in their new world, cruising to a 54-19 road win over the Bobcats. It hadn’t been easy for the Indians to play Woodland, either. They were stuck in a six-game losing streak against the Bobcats and hadn’t beaten them since the first round of the 2A playoffs in 2002. But a lot has changed in the nearly five years since that last meeting. Woodland has had three coaches and struggled to barely roster a team the last two seasons. Ohatchee, of course, was in Class 3A, where over the last two years it has battled in the state’s strongest region with two-time defending state champions Piedmont and state finalist Randolph County. In tuning up for it, the Indians racked up 317 yards of total offense in the first half against Woodland, with every yard coming on 16 carries by Domonique Thomas, Ty Lambright, Grayson Alward and Cam McCombs. Early misfortunes for Woodland set the Indians opening possession of the game just outside the red zone. Alward took advantage of the field position and scored on the third play on a 12-yard run to give them the early lead with 8:45 left in the first. 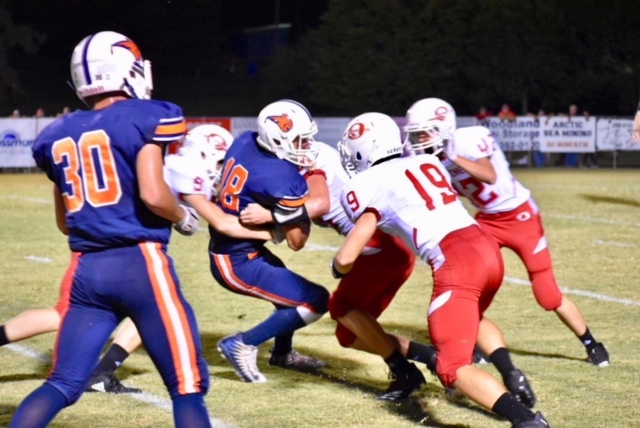 The Bobcats were able to piece together a late first-quarter drive and caped it off with Brock Edwards connecting on a 2-yard touchdown pass with Caleb Parker. The extra point was blocked, leaving the Indians ahead 7-6. Ohatchee’s defense went to work for the rest of the first half, holding Woodland to only 77 yards, while also recording an interception and recovering a fumble. McCombs scored on a 20-yard run to make it 14-6. The second quarter was more productive for the Indians as the next five possessions each went for a touchdown. The first three possessions each ended with Thomas scoring on runs of 29, 32 and 22 yards. 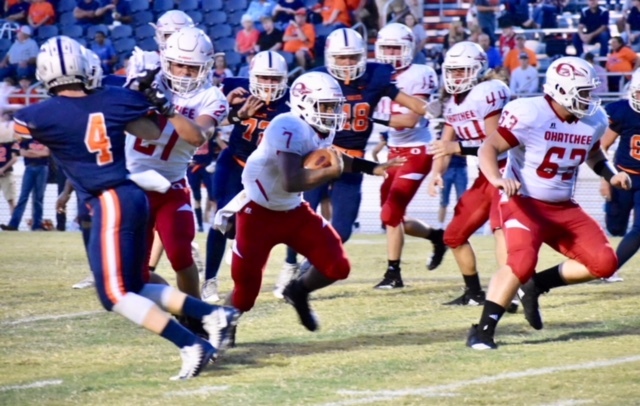 On the fourth possession, Alward went 48 yards down the sideline and after a fumble recovery, Lambright went 27 yards to put Ohatchee ahead at the half, 47-6. Thomas finished with 147 yards on nine carries, Alward had 60 yards on two carries, Lambright had 49 yards on two carries and McCombs had 61 yards on three carries. Martin took the starters out at the start of the second half and started playing the youngsters to build experience and depth. Nathan Higgins contributed a fourth-quarter touchdown. Woodland tacked on two late touchdowns as well with Edwards finding Parker again on a 20-yard pass and Parker Woodham scoring on the final play as time expired.